The Trance has long been Giant’s do-it-all trail bike. Last year, the bike received a serious makeover. The most obvious addition was the move to 27.5-inch (650b) wheels, but frankly everything, including geometry and suspension feel, changed for the better, which is saying a lot since the Trance was never a dog. This latest Trance bridges the gap between the Trance and Reign models of yore, with a nicely balanced 5.5 inches of front and rear suspension. 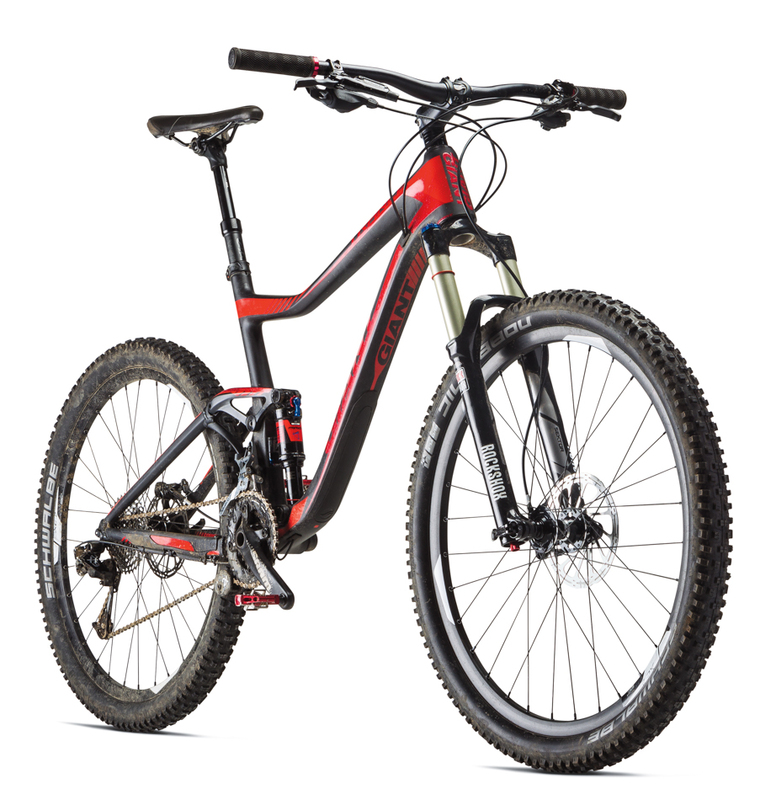 The 2015 Trance Advanced 27.5 2 you see here might be the best value in Giant's entire line-up this season. Our test bike features the same half-carbon/half-aluminum frame as the $7,750 flagship model. The difference? A slightly downspec'd rear shock–in this case, you get RockShox's Monarch RT instead of the more adjustable RT3 version. Frankly, once the wheels are turning you probably won't notice that difference. The Trance doesn't just sport a top-notch frame, it also comes equipped with some fairly impressive components. Hardware highlights include SRAM's excellent Guide R brakes, a SRAM X7/X9 dual-ring drivetrain and Giant's Contact SL Switch-R dropper post. The only component that leaves a little to be desired is the RockShox Sektor RL fork. You don't need to rush to replace the thing, but I've spent a year and change on the same frame with a RockShox Pike up front, and I was definitely struck by the difference. Then again, this bike costs $3,650 and while that isn't chump change, it's also just $400 more than what you'd pay for the frame alone with a Monarch Plus shock. See? A hell of a value. But all this talk of value is kind of missing the point because this isn't some bargain-bin nag. The Trance offers an excellent blend of frame stiffness and supremely controlled rear suspension. Slap on wider bars and a 160-millimeter fork and you have the same basic rig that Giant's pros were crushing enduros on in 2014. The bike can handle 'the gnar.' It's also no slouch on climbs. There are, to be sure, plenty of bikes that exhibit less squat when run with their shocks open, but the Trance's rear end offers Velcro-quality traction on rocky ascents and if your goal is to bag Strava crowns on climbs, you can reach down and flick the little lever on that rear shock to Firm. The Giant gets the job done and then some.